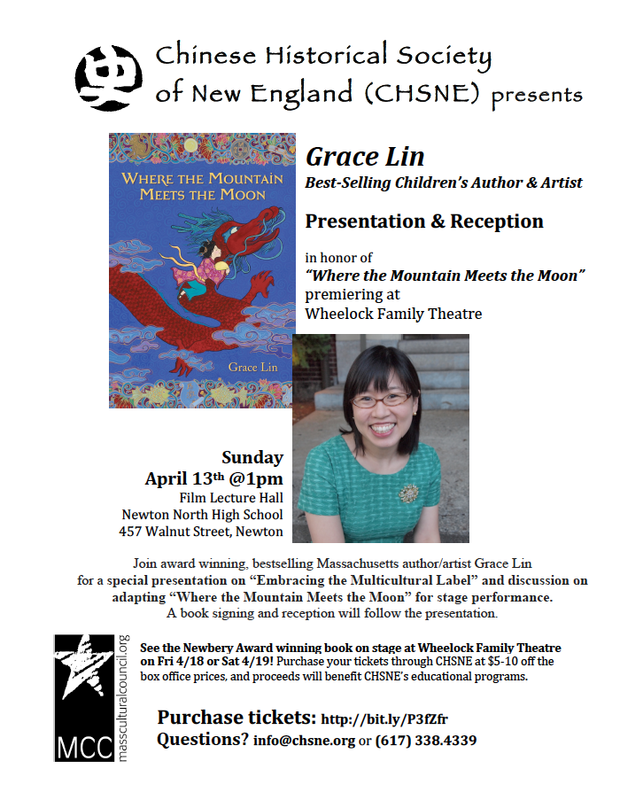 Tickets: $5 for members and $10 for non-membersJoin award-winning, best-selling Massachusetts author/illustrator Grace Lin for a special presentation on “Embracing the Multicultural Label” and discussion on adapting Newbery Award honored book “Where the Mountain Meets the Moon” for stage performance. A book signing (bring your own books, and books will also be available) and reception will follow the presentation. Wheelock Family Theatre is presenting “Where the Mountain Meets the Moon” April 11-May 11. 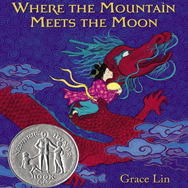 The play is adapted from the Newbery Honor Award winning book of the same name, by bestselling author/artist and MA resident Grace Lin! Want to see the show at Wheelock Family Theatre?